You know how, when you pick up a book and read the blurb on the back, there are certain words which act as flashing red lights warning you that this one’s not for you? For my son, it’s any mention of the word ‘vampires’; my Dad found it impossible to read a book that contained dragons or elves, while for my wife, phrases like The Galactic Federation is under threat… mean it will be put quietly to one side. It’s not that any of these are bad books, just that we all have our preferences. For me, the warning words are things like urban, gritty, hard-hitting or, the real give-away, challenging. They tell me that the story inside will probably cover things like bullying, alcoholic parents, sexual abuse, the gang culture… and that reading it is likely to bring on a serious case of the glums. While hugely admiring the authors (and readers) who cover these topics, I avoid them myself. I am far too liable to succumb to the glums already, without books like these dragging me down. The thing is that, unlike alcoholism or gang violence, I do know something about depression. I know how it feels, I know a bit about what causes it and, more importantly, I know a bit about how to deal with it. Even so, it was a tricky story to write. With ‘challenging’ topics like this, it is all too easy to get preachy and pretentious – to rattle off statistics, and to moralise to a particular solution. This is, after all, an ‘important’ topic and there is serious advice one must give… Most of my re-writes involved taking out all that stuff and reminding myself that my only priority was to tell a decent story. The topic also left me uncertain which age group to aim at. I usually write for the 8-11 age group, but this story seemed to involve going up an age bracket, and I found myself hovering uncertainly between MG and YA. The finished book still has a foot in both camps. It has the careful vocabulary that will allow it to go in most MG libraries, but the story remains clearly YA. I am not, of course, the first person to face this dilemma and, browsing through this website recently, I found Keris Stainton, in a similar situation, describing her book as ‘clean teen’. A clever phrase, I thought. David Fickling, owner of the dfb publishing imprint, wrote the blurb for the jacket, and you will find no mention of ‘depression’ there. He was shrewd enough to know that, ultimately, it’s not what the book is about. 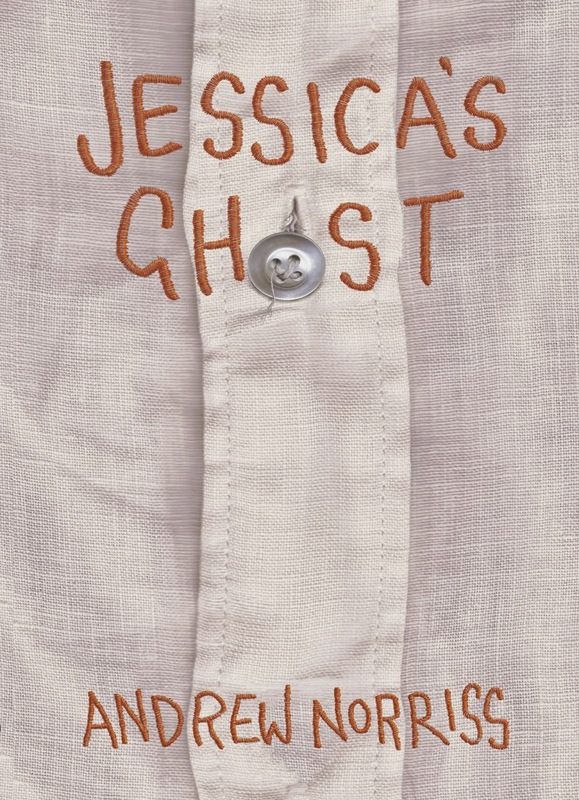 Jessica’s Ghost is about kindness and friendship, and the process of self-discovery that enables any of us to cope with the loneliness of the human condition.